Floor stencils can be a great way of getting your message across to people. Whether it’s walking man symbols to let people know they’re on a walkway, shared access stencils so people watch out for fork lift trucks, or lettering stencils such as ‘NO PALLETS HERE’ to keep areas clear, using stencils removes any confusion or ambiguity and helps to create a safer environment. Warehouse Floor Marking Ltd can produce floor stencils to show almost any style of lettering or any logos such as walking men or fork lift trucks. We also find that having the capability to produce lettering in different languages proves very useful to our clients who have a multilingual workforce. As we create each stencil in house using our own design software, the possibilities are endless, we can even add your company logo onto floor markings which is a great way to showcase your branding throughout your facility. 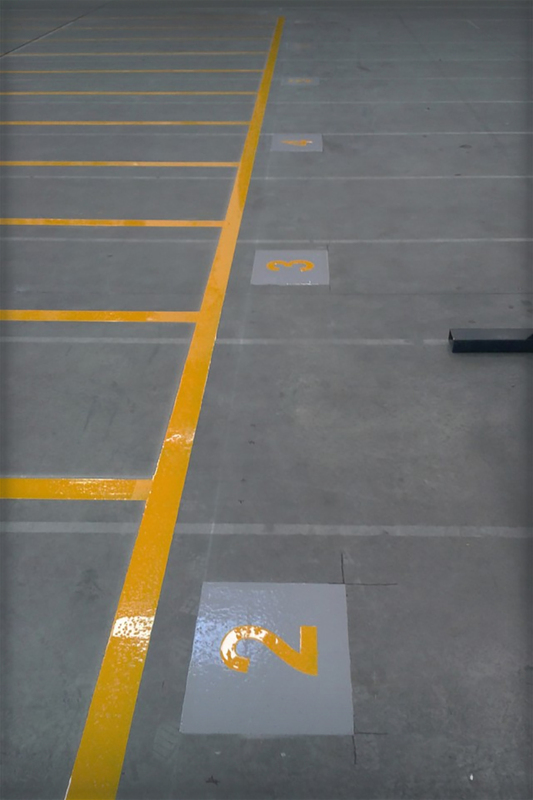 As with our line markings, stencils can either be laid directly onto the floor in light traffic areas or where there is a high level of fork lift truck and other MHE movement, they can be laid over a shot blasted surface to ensure they will not fade away under heavy use. If temporary markings are needed, we also offer a wide range of floor graphics produced on self-adhesive, anti-slip vinyl which can be easily removed should the need arise. If you would like to arrange for a representative to visit site and discuss how we may be able to help you, please don’t hesitate to contact us today. Speak to us about the design possibilities and stencil durability available.